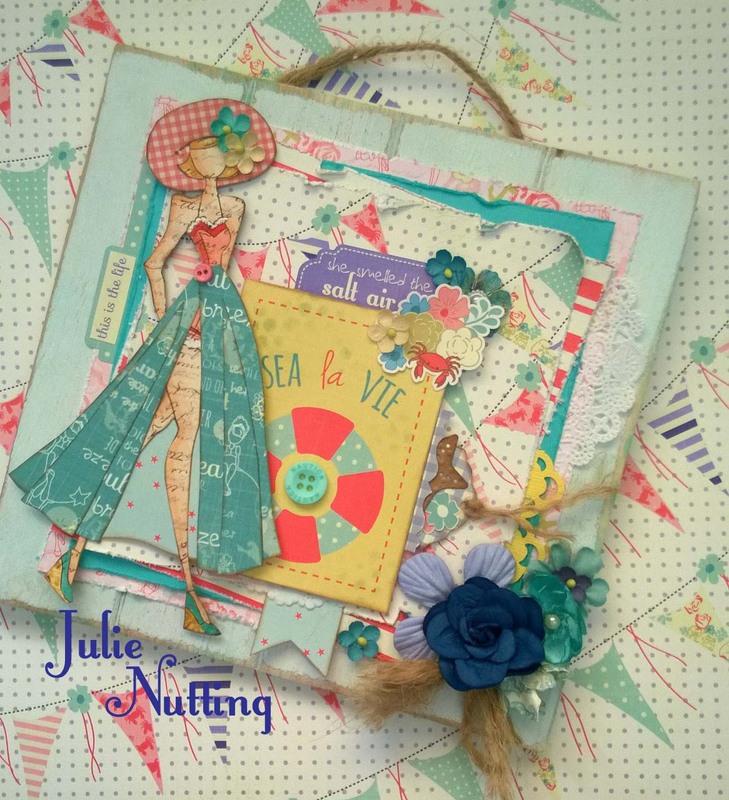 Julie Nutting Designs: Start a Doll Club! 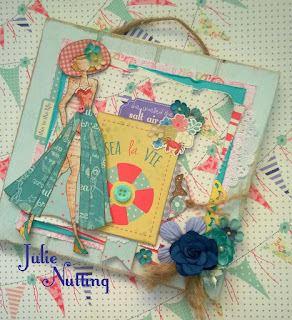 Wooten's theme this month is beach and I was inspired to share this because well, it's pretty beachy! Created with my Nautical Bliss paper line from Photo Play Paper. The doll is a mix of my newest beach babes, Suzy, Betsy and Gina. Love how they work together!